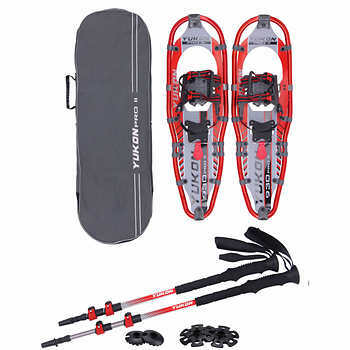 Tourist from Australia so bit clueless about these things, going to Canada and wondering if it's worth getting the snow shoe chains/springs/spikes that go over your shoe or boot ? Can't really afford snow boots for purely a week so I intend on wearing work boots, however from experience of another trip overseas I slipped over a few times in those in snow. More worried about partner as she's pregnant and has even less suitable footwear. Do they work and are there any issues with them? I will be in Vancouver, BC and Big White, BC. I'm not too sure if you'll be going through deep snow on a mountain hike or navigating icy sidewalks in Stanley Park & Vancouver, but it's worth almost any price to not get hurt falling down on vacation. Sub Zero Full-foot Ice Cleats About $15. Good reviews currently, 4.1 out of 5, in 8 reviews. MaxxDry GripOns Traction Spikes About $22. 1.4 out of 5, in 5 reviews. 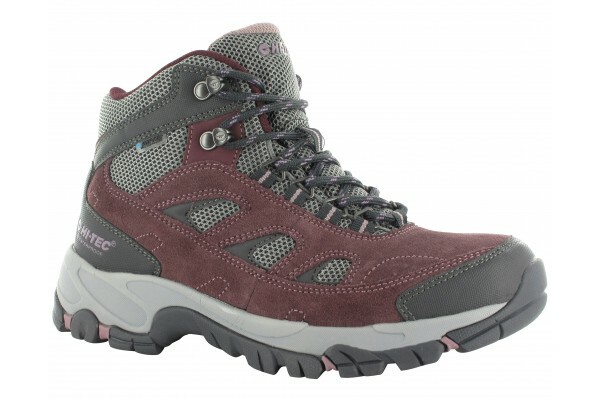 They're hopefully a lot cheaper than two pairs of really nice (expensive) boots or snowshoes. The nice thing about stores like Canadian Tire & Wal-Mart are that if you're not satisfied (with just about anything) you can return it for a refund. They don't return snow chains for tires, so definitely check before purchase. 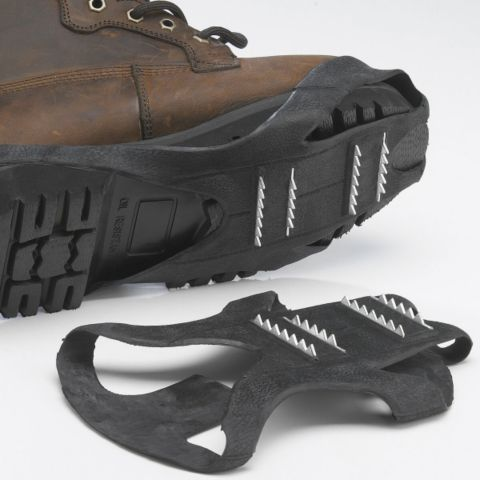 And for any "bits of metal on your soles" like these, be extra careful if you're walking on a hard smooth surface like inside a mall or a store, I did that once and it was just like walking on ice, almost fell down on a bare dry hard floor. The alternative result could be the metal does dig into the store's floor, and that's not good either. If you'll be walking on ice & hard snow it's a good idea to practice an "ice walk" - walk on any snow as if it really is slippery ice, usually shorter steps & stay more balanced. Then even if all the snow seems "grippy" but when you hit the one patch that really is slippery you won't fall down. On soft deep snow the above will still add some traction just from the big "rubber band" grabbing some snow, but the spikes would be too small to add much traction. If you do want "real" snow shoes Costco in Canada even sells them online (Snowshoes category on Costco.ca) maybe inside a few stores too (and Costco will return almost anything, they may even accept returns back in Australia for items bought in Canada, but I'm not at all sure on that, somewhat helpful link). They're currently $260 to $110 (Canadian), or if children's will work they're $85-$75. Some at Costco even come with poles, these are $179 (Canadian). I looked at Costco Australia's website but I guess they don't have online shopping set up yet. Personally, I think you should be okay with your boots. You will have to walk slowly, but you should do fine. It may be beneficial to walk around with a walking stick in spots and try to avoid the ice if you encounter it. I do not know what kind of snow you will encounter at Big White, but they do offer rentals at the Big White Ski Resort, if need be. Another tip I would suggest is that you follow the Daily Snow Report, just before leaving for Canada, so you can have information on the Big White Terrain & Ski Conditions. I would be more concerned about the temperature than the snow. I live near Vancouver and this year has been exceptionally cold for us and Kelowna is 271 km away from here by plane or 389 km by car. A curious side note: Australia Day is just around the corner! If you're Australian or not, come and celebrate everything that is great about 'Down Under' on January the 26th. Wear your best Australian gear and meet Boomer the Kangaroo at the top of Kangaroo run at 10am. More info here. I would rather start with some decent winter boots. They have a soft sole with traction and warmth. You can find lower end but still nice on sale for like $50 US. Decent chains / spikes will cost that much. The cheap rubber pull on spikes are more for icy driveways and sidewalks in my opinion. Not the answer you're looking for? Browse other questions tagged boots snow canada or ask your own question.